We were thrilled to be asked back to host an event at this year’s D&AD New Blood Festival, an event that celebrates creative excellence in young creatives and gives graduates an insight into the industry they’ll soon be journeying in to. 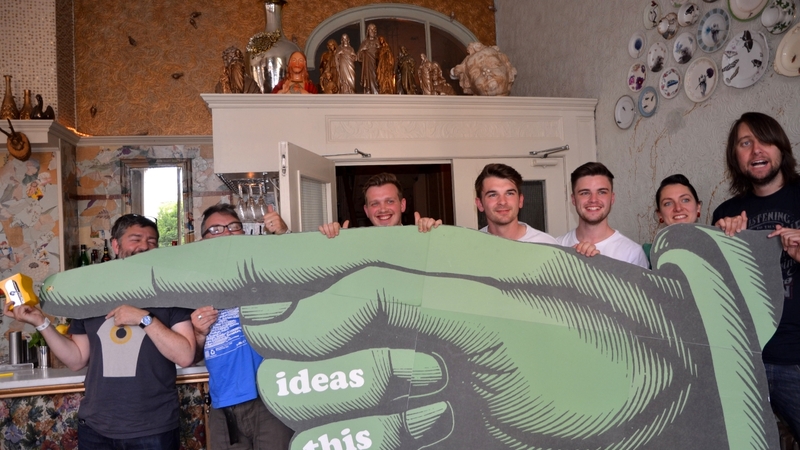 Bringing back our ‘Sharpest minds’ Pub Quiz at The Commercial Tavern, Purpose gave students the chance to go head to head to win the much coveted D&AD Pencil (sharpener) trophy with a series of challenging graphic design and branding questions (peppered with a couple of more hands on rounds to keep them on their toes). 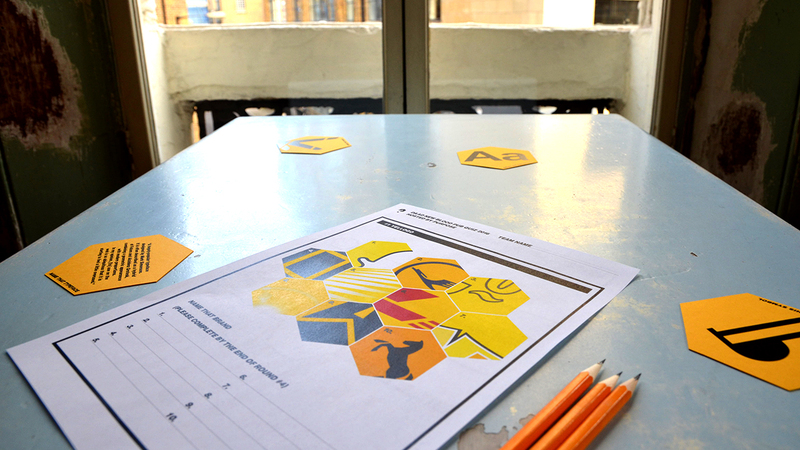 After displaying an impressive knowledge of yellow logos, with only small crops of each logo acting as a clue for each brand in ‘Yellogo’, our teams tested their D&AD general knowledge with tricky questions that truly highlighted who the die hard fans were in ‘D&AD DNA’. 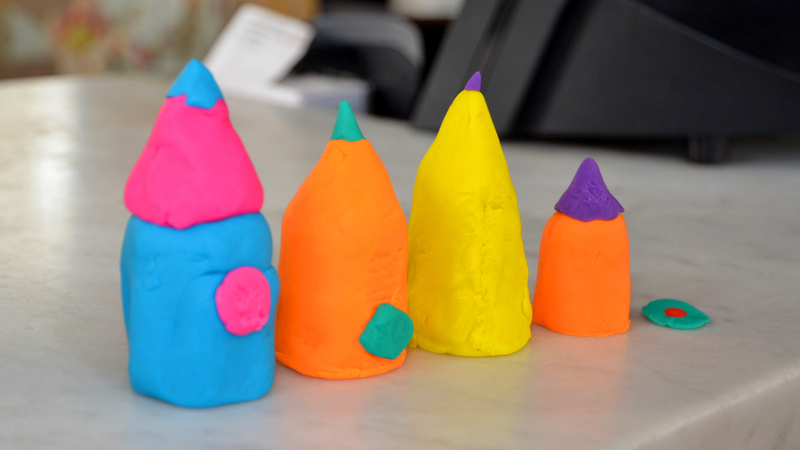 We then moved onto our ‘Product Design’ round that was ideal for our craftier contestants, asking them to replicate the iconic D&AD pencil award in play-doh form in only 1 minute. 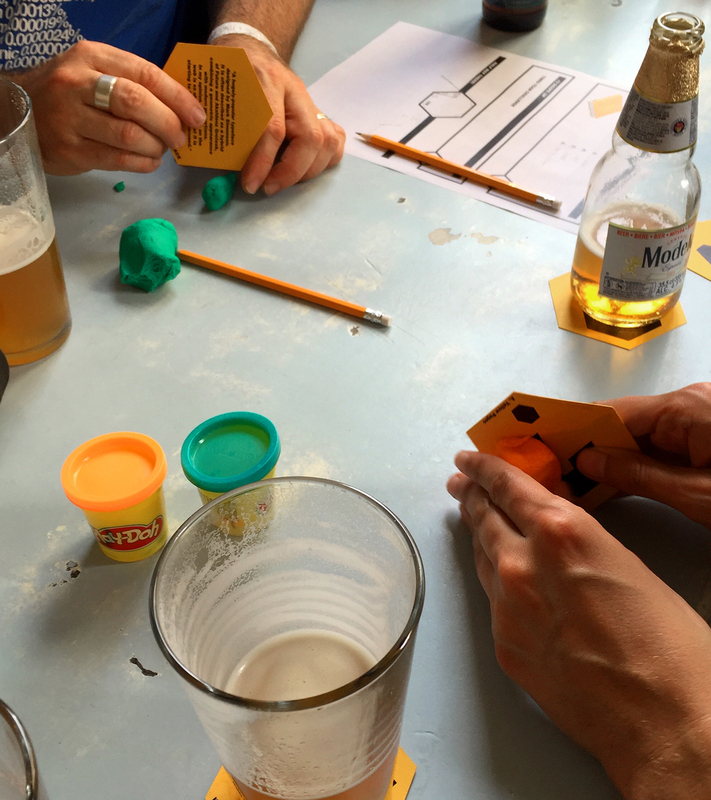 With a range of production tactics used (everything from carving with the flat side of a pen to moulding with beer mats), the quiz masters were rewarded with some impressive results. After breaking for a quick top-up of drinks we were onto the second half of questions, starting with the visual round ‘Video Stars’ that asked our graduates to identify songs and artists from stills of D&AD awarded music videos. 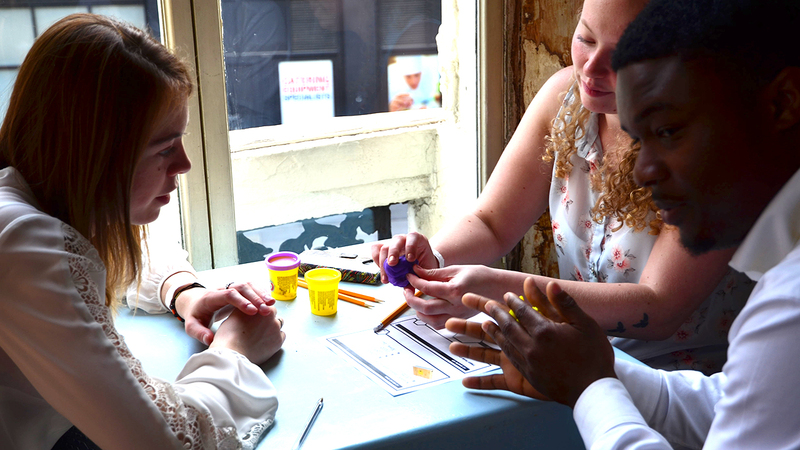 It was then onto a round of creative ‘General Knowledge’, followed by the always entertaining ‘Think Sharp’ that asked teams to nominate one member to sharpen down as much of a pencil as they could in 45 seconds. With our final round finished, the quiz masters were able to tot up the scores and we had a very clear winner, with ‘The Big Green Finger’ team from the University of Central Lancashire racing to the top of the scoreboard. 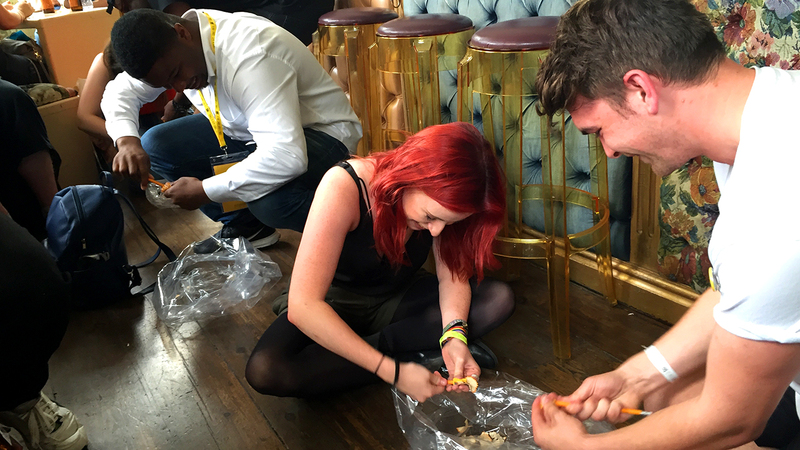 After some celebratory drinks orders were placed, it was our pleasure to be able to award our D&AD New Blood Pub Quiz 2016 winners with the D&AD Pencil (sharpener) trophy. A big well done to the ‘Big Green Fingers’ and a huge thank you to everyone that joined us for the New Blood Sharpest Minds Quiz 2016.